Camberley Glass & Windows has fifty years of experience in offering a reliable and quality window replacement service and our expert team are passionately customer service centric and are dedicated to fulfilling your needs and requirements. A satisfied customer writes “We were very impressed at how professional you were, right from the beginning through to the very end, especially the follow up letters and phone calls. A special thank you must be passed on to your builders, fitters and electrician. They all turned up exactly when they said they would, have been extremely trustworthy, clean and very tidy. This has made an enormous difference to the end result”. 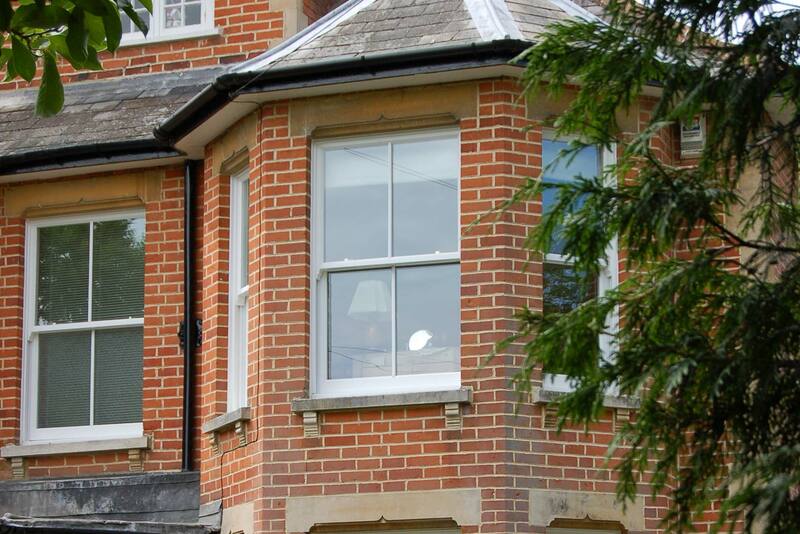 We can offer you a choice of modern UPVC double glazing units or Aluminium replacement windows, available in a selection of colours and wood effect textures to match the style of your home. Not only aesthetically pleasing, these replacement windows will increase energy efficiency by eliminating draughts and reduce noise pollution. According to surveys, over two thirds of the UK population feel stressed by loud noises and fear that they may be harming their health. In our modern society, noise population continues to grow, from intense road traffic to train and air traffic noise. Our specialist double glazing reduces the intrusive noise providing you with the tranquil homestead you deserve. If you would like to arrange for a free quote via call back, please fill out the form.